Florida - When Catastrophe Strikes, Who Foots The Bill? 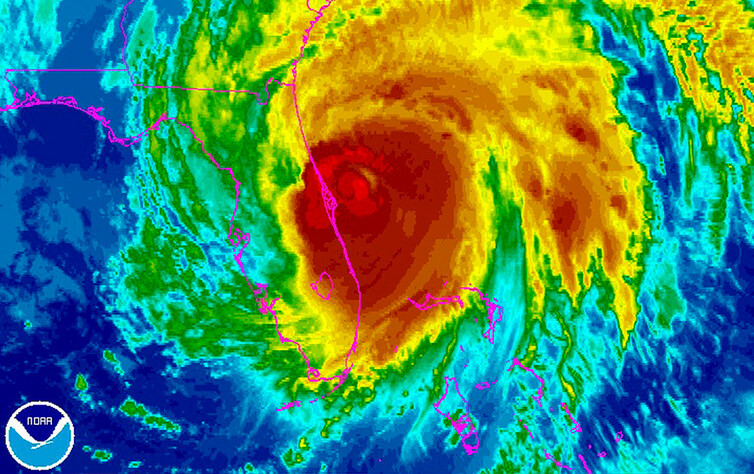 Hurricane Matthew has slammed into the Florida coast after hammering Haiti. 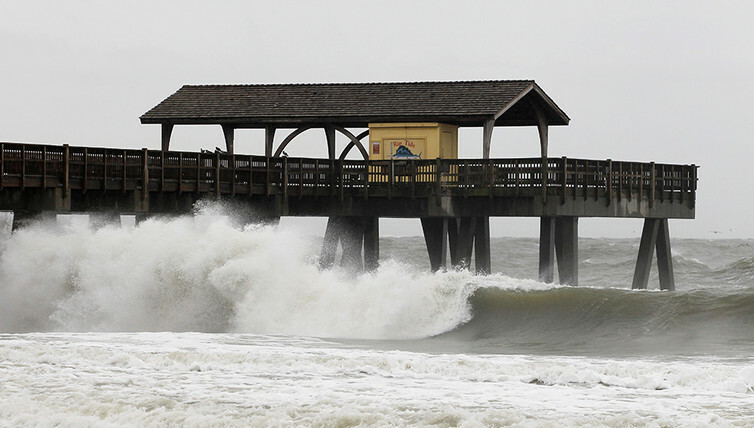 Close to 2 million people were asked to evacuate to escape its winds and rain. While any loss of life will be the biggest concern, the hurricane is expected to cause extensive damage to buildings and infrastructure, leaving Floridians saddled with heavy losses – some insured and some not. For a category 4 storm in this area – as it was deemed at one point – the economic disruption is expected to cost anywhere from $5 billion to $15 billion, according to Bloomberg. The storm was later downgraded to category 3. Real estate analytics firm CoreLogic estimates that more than 954,000 homes in Florida are at risk of surge damage from a Category 4 storm, with another million at risk in South Carolina, North Carolina and Georgia. One consequence of climate change is that extreme weather events are occurring more often with the potential to cause catastrophic damage more frequently. According to the 2016 Global Risks Report of the World Economic Forum, extreme weather events rank second as the most likely threat to global stability going forward. And my research on the safety and soundness of financial institutions suggests this trend may also threaten the stability of the insurance industry. The first line of defense to deal with the costs are the insurance companies operating in Florida, which will be busy in coming weeks and months assessing and paying the insurance policy claims of the insured home and business owners. But most of Florida’s property insurers are relatively new because the market went through a fundamental restructuring after Hurricane Wilma in 2005, transitioning from large national insurers to smaller ones focused almost exclusively on the state. Wilma caused $12.3 billion in insured losses (in 2015 dollars), ranking it fifth among the most costly U.S. hurricanes. This has made the next line of defense, reinsurers, much more important. Insurance companies buy backup policies with reinsurers to reduce their exposure to insurance claims that require potentially large payouts in extreme weather events. This allows firms to reduce their liability on individual claims and achieve a reduced overall risk exposure from greater diversification. The costs of all these policies are rising, though, as the historical and mathematical models used to price the policies factor in the more recent and more severe storms. If weather-related events in the future do turn out to be more costly for insurers than in the past, historical data and traditional policy pricing models may not support equity valuations in this industry sufficiently to keep the firms financially stable. In other words, the firms may not have enough financial firepower to cover future calamities. So, while insurers, reinsurers and their regulators try to develop better models and tools to manage climate and other catastrophic risks, global financial markets have provided some relief. The issuance of catastrophe (aka “cat”) bonds has become an important source of funding for the insurance industry and an effective tool for shifting some of the largest risks to capital market investors. Essentially, cat bonds are like most debt securities in that the issuer (in this case an insurer or reinsurer) gets access to financing (held in escrow) from investors in exchange for regular coupon payments and the eventual return of principal. The difference with this type of debt is that if a loss greater than a pre-specified amount occurs as a result of a hurricane or earthquake, the issuer is allowed to delay or skip interest and/or principal payments, while the bondholders incur losses that can be substantial. Yet, in a near-zero interest rate environment, investors have largely benefited from the higher yields associated with catastrophe bonds. And few cat bonds have suffered losses as a result of hurricane or earthquake, making them (so far) very rewarding for their holders. But these bonds are not entirely immune to financial crises or natural catastrophes. And some argue that the good times could end as the Florida market is heavily reliant on reinsurance and also cat bonds, which means pension plans and other holders of the debt could face substantial losses in case of extreme damage. These types of insurance typically only cover wind-related damage from hurricanes. Yet such storms are also associated with extensive flooding. That’s covered by a different type of insurance altogether. The National Flood Insurance Program (NFIP) administered by the Federal Emergency Management Agency (FEMA) works with several insurance companies to provide flood insurance to individuals and businesses in communities that have joined NFIP and adhere to sound floodplain management standards. This is an example of a public-private partnership that could be extended to help protect against other extreme threats. The recent flood in Louisiana, for example, is estimated to have caused economic losses in the range of $10 billion to $15 billion. FEMA has limited resources available to help the uninsured who often face daunting financial losses. According to the Center for American Progress, FEMA provided about $67 billion in financial assistance to communities and individuals, or about $200 per U.S. resident, from 2005 to 2015. But who pays when there’s no insurance? In the recent Louisiana flooding, for example, a model suggested 80 percent of damaged homes didn’t have flood insurance. In Florida’s case, Citizens Property Insurance covers homeowners who cannot find insurance on the open market. This state-run company has reportedly spent a decade increasing its reserves and reducing the number of policies it covers. 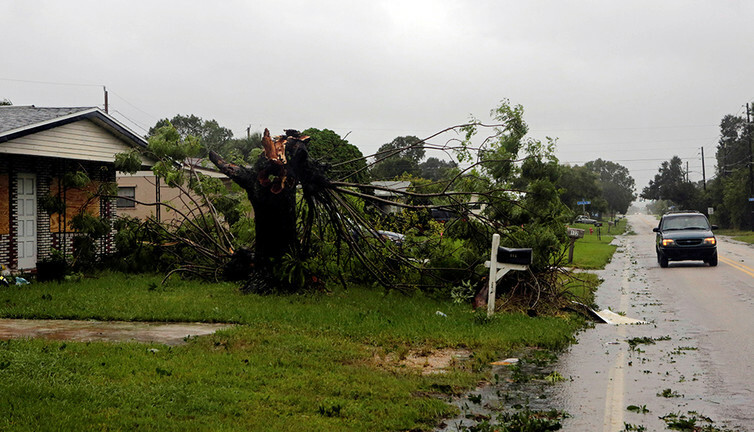 Its $7.5 billion surplus, access to the Florida Hurricane Catastrophe Fund and reinsurance backup should help it handle a 1-in-100 year storm without having to levy new assessments on property owners, according to Citizens. Extreme weather is expensive for insurance companies and their reinsurers, communities, taxpayers and also, potentially, capital market investors. And it’s only getting more expensive as climate change increases the frequency of storms and their severity. While more can be done to improve risk pricing and risk management, climate change mitigation is critical for our ability to continue to survive and recover from the catastrophes that lie ahead.